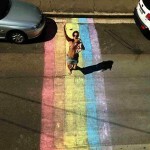 In Sydney, earlier this year, the Sydney City council painted the crossing at Taylor Square in rainbow colours to celebrate the 35th anniversary of the Gay and Lesbian Mardi Gras. It was planned as a temporary work but was so popular the council decided to make it a permanent feature. 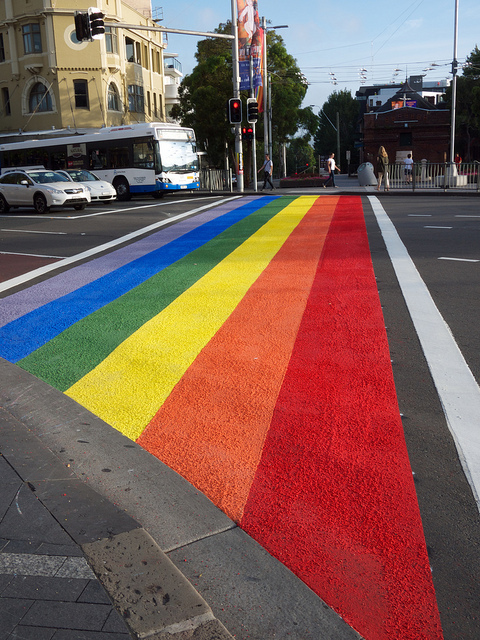 However, in responce, the state government decided to remove it … “NSW Roads Minister Duncan Gay, however, insisted the painted rainbow had to go as it posed a road safety risk as pedestrians sat or lay on the crossing to have their photos taken.” The state government decided that it should be asphalted over in the dead of night without consulting anyone. 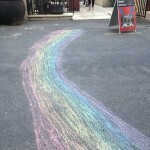 The community was outraged, and responded by deeds, creating chalk rainbows all over Sydney and beyond. 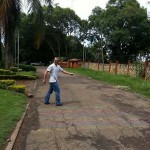 The #DIYrainbows movement have been sighted as far as Africa. And that is so powerful!